Every so often I post things of which I'm fond. You can choose what happens after my recommendation. Ignore, embrace, debate. Earlier volumes of The Rabbit Recommends can be found here. I have Netflix. And by that, I mean I have a Netflix password. Thank you Patrick. 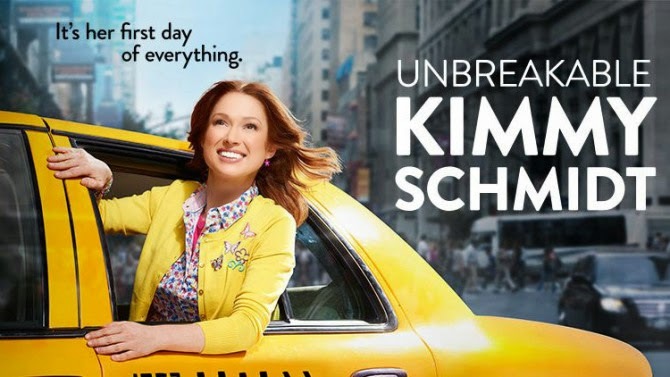 Unbreakable Kimmy Schmidt is a new show from Tina Fey and Robert Carlock of 30 Rock fame. If you loved TGS, then you'll adore UKS. I didn't realize how much I needed joy in between watching Orphan Black and The Americans. Episode #4 will raise you up just like Josh Groban promised. Spring temps mean music for sitting on the porch, drinking lemonade and thinking about who's going to rake all those leaves. Emily Hearn is a lighthearted singer/songwriter who's on tour with Tyrone Wells and collaborating with Ben Rector - two more of my favorites. Her new album Hourglass is a delight. YOU GUYS. I'm still feeling the effects of Oscar burnout so I've only watched one movie in three weeks: DUFF. It was adorable, but you can wait to watch it on the comfort of your couch. And I give you permission to find the lead actor attractive despite him portraying a high school student. God did not stumble when it came to his face. This post-apocalyptic novel has lingered with me in the best way. Like Taco Tuesday. 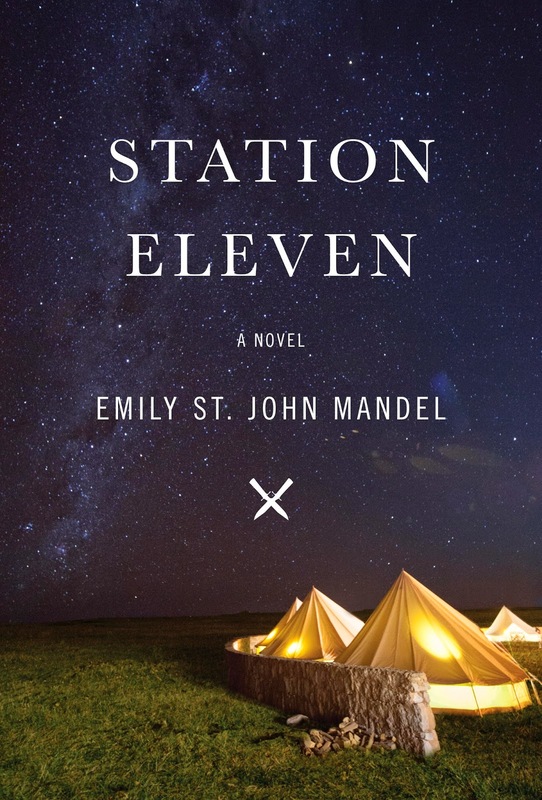 No surprise since it's a finalist for the National Book Award and the PEN/Faulkner Award. It's so beautifully written. Add it to your TBR pile. As of this writing, it's only $5.99 on Kindle. One Stupid Tweet Blew Up Justine Sacco's Life: Words matter y'all. Lessons from Curt Schilling's Satisfying Internet Victory: Seriously, the words matter so much. You Don't Need to Write: My friend Elizabeth confirmed my suspicion that not all storytellers have to write. Owning Our Gifts: Lindsey encourages us all to bloom where we're planted even if we don't like the patch of dirt. I'm still mourning the loss of The Colbert Report, but Stephen's cameo on The Mindy Project this week was ridiculously funny. This short video of him talking about his faith is great. I feel the exact same way about Peter. Just in case you didn't know, I co-host a podcast with Knox McCoy called The Popcast (pop culture). A listener and friend, Sarah, let me know I remind her of Nick Kroll's character in his sketch PubLIZity. This was the best compliment I've ever received. Sometimes you wish you could headbutt someone, but you shouldn't. Or worse, you can't. What have you watched or read or heard that you're loving right now?